If you like reading books, browsing the Internet, listening to music, viewing your favorite photo albums and videos, and on larger screen, the Next3 is the choice for you! 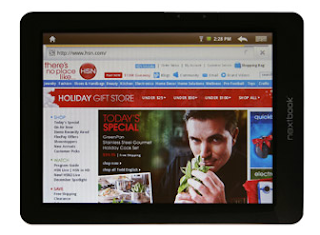 Its sleek design, touch screen feature, 8.4 inches color display, and WiFi, is simply amazing. Next3 also comes with 25 free preloaded books. 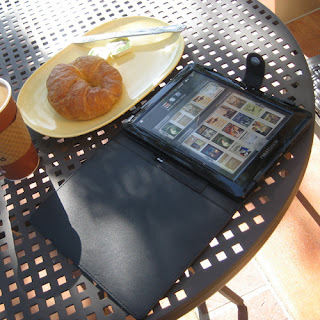 With one touch, you can open your favorite book and enjoy it anywhere you like. Partnered with Borders.com, you can easily access Border's online bookstore and download eBooks directly to your Next3 device. It's high resolution screen gives you sharp images especially when playing HD video. With a built-in Notepad, Calendar, Alarm Clock, Contacts, Games, and other useful apps at the touch of your finger you won’t want to leave home without one . Being that I do most of my work online, when I'm on-the-go (frequently) it can get extremely difficult to carry my laptop around with me everywhere simply to access email and the Internet. Keeping up (even with my chaotic schedule) has been made much more convenient (and entertaining) with the Nextbook Next3 Touchscreen Tablet! Slim, lightweight, and compact, I can carry the Next3 with me easily keeping everything I need for work right at the touch of my fingertips when I'm away from my office. The Next3 offers a large crystal clear color display with a touch screen that makes maneuvering through the features and applications extremely user friendly. I was most impressed with the speed while browsing online. I'm not a fan of waiting for content to load, and with the Next3 I don't have to! The speed ensures that there are absolutely no delays in content delivery. In addition to all of the other wonderful features, I LOVE that it also doubles as an eReader. Having the convenience of storing many titles in one convenient place is amazing (gone are the days of lugging around a hardback book to get in some reading while out and about!). 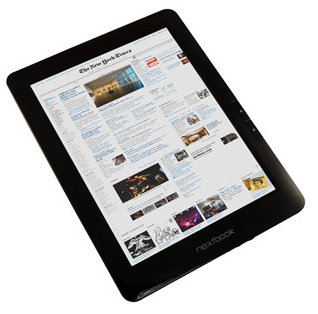 Entertainment & Convenience At Your Fingertips; The Nextbook Next3 Touchscreen Tablet Offers Incredible Technology and Value, at a price that won't break the bank! 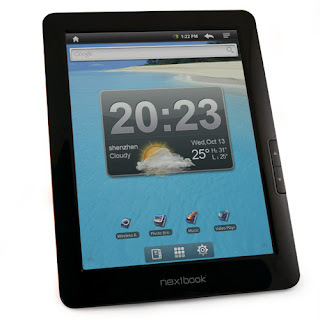 Leave a comment~ Which Feature of the Nextbook Next3 Touchscreen Tablet are you most excited about? The comment is considered your entry. Entry to this giveaway ends at 12pm PST June 16, 2011. Winner's are chosen randomly through random.org.The winner will be announced in a post within 7 days of the giveaway ending, and contacted through email. The winner will have 48 hrs. to respond or another winner will be chosen. Thanks for the review and chance to win one. I'm def.excited about it's Google feature! Anything connected to google is amazing and helpful. I love that it is a touchscreen and books will download fast. I also like the large screen. I'm excited about the wifi feature. I love that it is a touchscreen.